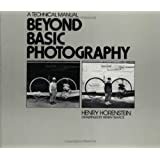 This workbook is keyed to Henry Horenstein's Black and White Photography, 3rd Revised Edition. Mosley's workbooks have been used since 1978 in classrooms or as self-teaching guides to strengthen ones understanding of the craft of fine photography. Each includes a syllabus and assignments for a one-semester course. Designed to help students learn to read and understand a technical manual, these workbooks are useful, either for weekly assignments or as a supplement to initiate discussions and pinpoint difficult concepts or techniques that need further attention. Try the workbooks and see the difference they make in your students understanding. Kim Mosley currently lives in Austin, Texas.Formerly he taught photography at St. Louis Community College at Florissant Valley. At Florissant Valley, he received the Faculty Member of the Year Award, the David L. Underwood Memorial Lecture Award, the Governor's Award for Excellence in Teaching (Missouri), and the Emerson Electric Teaching Award (St. Louis). He received a photographer's fellowship from the National Endowment for the Arts in 1981 and served as a visiting artist at the School of the Art Institute of Chicago in 1983-84. He has also taught at Bradley University, Southern Methodist University, and Lindenwood University. He received his MFA from Bradley University and his BFA from the University of Illinois (CU). His work is included in collections throughout the country including the Art Institute of Chicago, the Dallas Museum of Fine Arts, and the Center for Creative Photography in Tucson. 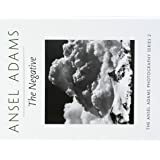 It is a short, easy read book that I bought to help me with my photography class. It explains things well and is to the point. 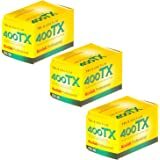 It gives you a great overview on black and white photography, but does not go too in depth. 3.0 out of 5 starsGood. As good as a textbook can be. I originally gave this book a one star review, with the caption "don't buy this book" My apologies to the author. I did not read the description of the book. Had I done that, I would have realized that this book is written to be used with another book, clearly mentioned, but overlooked by me. So, lesson learned, read product descriptions, get the facts before commenting on a product. Now I must put in a disclaimer. I gave the book five stars, but am in no position to do so, as I have not had the chance to actually use the book. I just wanted to undo my error. I can not give an opinion on this book at this time, but will update if so. In the meantime, check the review of the person who seems to know what they are talking about. Side note to the author: Could I buy you a cup of coffee so I can apologize for being an a@# in person? Had other thoughts of what it was. Didnt realize it was a book for a class I wasnt enrolled it, and or a test book I didnt have. 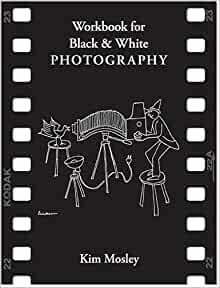 5.0 out of 5 starsRecommend "Workbook for Black & White Photography"
Photography textbooks are very useful for the diligent student, but frequently are not read by most students. "Workbook for Black & White Photography" guides the student in a programmed way, which allows the student to find out what he needs to know to pursue success in photography, without suffering undue pain. The workbook serves both teacher and student and simplifies learning. 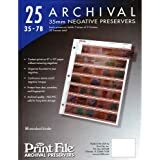 Having used it for many years in my classes, I can highly recommend this product. good instrument to do some exercises and see how things are working .Nice in use with the book the zone system ! Using this workbook is such a great way to learn the material in the text.